Omnicare Sought Kickbacks for Nursing Home Prescriptions - South Carolina Nursing Home Abuse Lawyer | Strom Law Firm, L.L.C. The US Department of Justice claims that Omnicare, the largest provider of prescription drugs to nursing homes, sought illegal kickbacks from Abbott Laboratories for recommending the pharmaceutical company’s Depakota to nursing homes with dementia patients. Depakota is a drug used to treat epilepsy, especially in elderly patients with dementia. The federal government claims that Omnicare pushed the drug to nursing homes in order to solicit tens of millions of dollars in kickbacks from the drug’s manufacturer, Abbott Labs. Omnicare allegedly disguised the illegal kickbacks from Abbott as “grants” or “educational funding.” The company also settled another kickback lawsuit with the federal government earlier this year, which alleged that Omnicare paid kickbacks to secure contracts with nursing homes to supply the skilled nursing facilities with pharmaceuticals, and received Medicare and Medicaid money in those kickbacks, which is a form of defrauding the federal government. The kickbacks complaint was filed in a federal court in Abingdon, Virginia. Kickbacks can harm patients not only through indirect financial exploitation and abuse, but also by giving nursing home staff access to drugs that could be used as chemical restraint, such as Risperdal, which is an antipsychotic medicine that has come under fire recently for being wrongly prescribed to nursing home patients with dementia. Although federal law prohibits “chemical restraint” – using medications to strongly sedate patients with mental disorders or dementia who may engage in disruptive behaviors – recent reports show that several skilled nursing facilities in the United States overuse dangerous antipsychotic medications on their elderly residents, which is a form of nursing home abuse. Despite their dangerous side effects, almost 300,000 nursing home residents across the US receive antipsychotic treatment for behavioral problems that the drugs are not authorized to treat. FDA drug reviewer David Graham testified before Congress in 2012 that 15,000 nursing home residents die from complications of atypical use of antipsychotics. 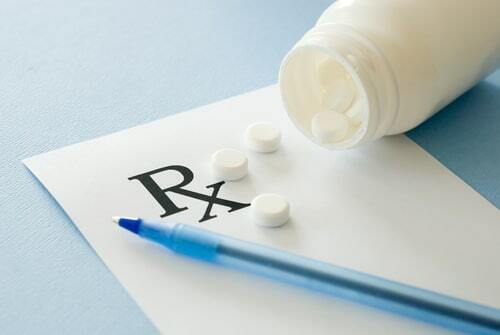 Nursing homes submit numerous Medicare and Medicaid claims for medications and services for their patients. However, staff and administrations who run nursing homes may not always have good intentions, which can lead to over- or under-medication, improperly administered doses, or failure to administer medication at all. This can lead to charges of elder abuse, and, if the elder abuse involves prescriptions, Medicare fraud. If you or a loved one have experienced South Carolina nursing home abuse, including illegally practicing chemical restraint, financial theft, or physical abuse, you do not have to suffer in silence or wonder if the facility is doing the right thing. It is important to take a stand against nursing home abuse, and the attorneys at the Strom Law Firm can help. We offer free, confidential consultations so you can discuss your concerns about your loved one’s care with impunity. Contact us today. 803.252.4800.